Without a doubt, Tahitian referee Norbert Hauata is one of Oceania’s leading match officials. 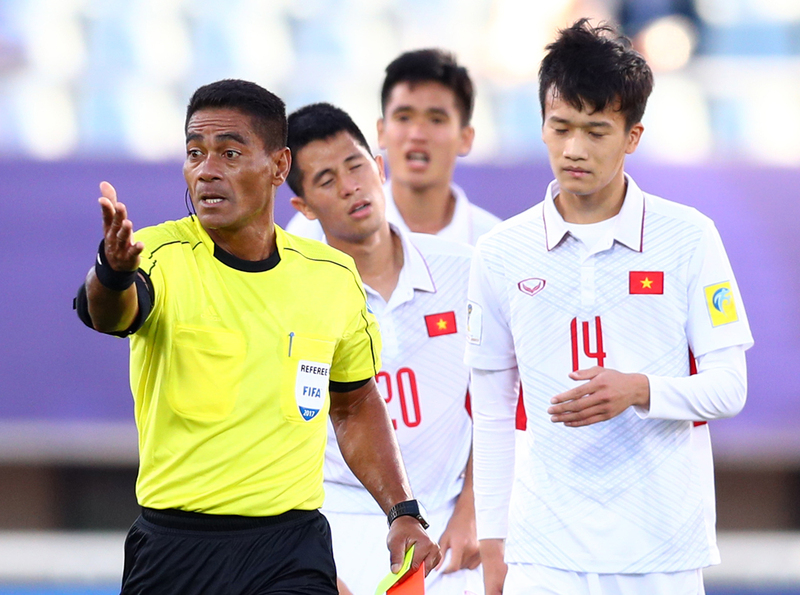 It’s a role he takes great pride in, and one which has seen his continued hard work translate into a place among the 32 best referees in the world. The 38-year-old is winging his way to the 2018 FIFA World Cup Russia™ this month as he gets set to make his second appearance in the world’s pinnacle football event. “To take part in a World Cup is a dream,” Hauata said. “In Brazil, I was there with all the big names, the best. To be in among the 32 best referees in the world is amazing. The gravity of what the labourer from Moorea has achieved is a sentiment shared by the football community in his homeland. President of AS Tiare Tahiti Moana Friedman said it is a significant achievement. “For the people of Moorea it’s a proud moment,” he said, “for all of Polynesia really. “A referee to go to the World Cup, that’s crazy for a small piece of sand in the Pacific like Tahiti. FTF Executive Committee member Vaiata Perry-Friedman agreed, stating the achievement is especially remarkable given Hauata’s background. “In Russia, who is going to know where French Polynesia is? I’m sure people will be asking ‘where does this referee come from?’,” she said. Having been in this position previously, after being selected for the 2014 FIFA World Cup Brazil™, Hauata is well aware of what to expect when he lands in Russia. “Now it’s my second and it’s not the same,” he said. “I know how to prepare now, how to handle myself in the face of some of the best players in the world, and how to hide my emotions. He said one of the biggest things to consider is making the leap from amateur football in Tahiti and Oceania, to the absolute pinnacle of the professional side of the game. The 2018 FIFA World Cup Russia™ kicks off on 14 June with the match between hosts Russia and Saudi Arabia.